Originally from Cape Town in South Africa, Angie is the creative driving force in the partnership and has been described as having “considerable vocal and songwriting talents” by fRoots. Performing at acoustic clubs and festivals Oka Vanga was born after Will and Angie met by chance at an open mic night. A short E.P of original guitar instrumentals became their calling card and in 2013 they were invited to represent the UK at the International Madame Guitar Festival in Italy alongside Clive Carroll. Shortly thereafter they released their debut album Pilgrim to critical acclaim. Described by Songlines as “beautifully pure”, it was awarded Best Instrumental Album by FATEA magazine in a strong category including both Kathyrn Tickell and The Hut People. 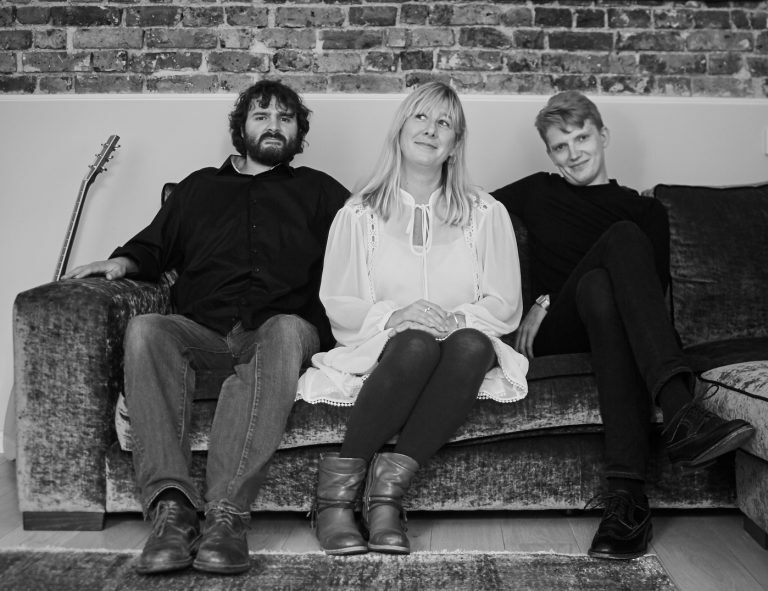 As a trio Angie and Will also perform with double bass player Oliver Copeland. A rising star who also features on Dance Of The Copper Trail, Ollie is rapidly making a name for himself and brings the spirit of Danny Thomspon’s Folk Jazz sound to their line-up. 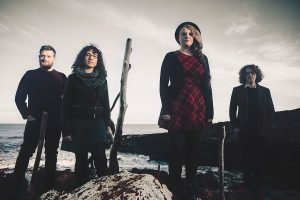 Birlinn Jiarg was brought together by multi-instrumentalist Beccy Hurst to perform the traditional Manx music she grew up with as well as her own compositions. Having performed with various Manx bands and dance teams over the years, Beccy moved to England to study on the Folk Degree at Newcastle University. At the center of Birlinn Jiarg’s sound is the combination of Beccy’s whistle and concertina playing and the clarinet and flute of Freya Rae (Freya Rae and Louis Bingham, Tom Kitching Band). The unusual combination of low whistle and clarinet was what originally inspired the band’s formation and sets Birlinn Jiarg’s sound apart from more traditional line-ups.